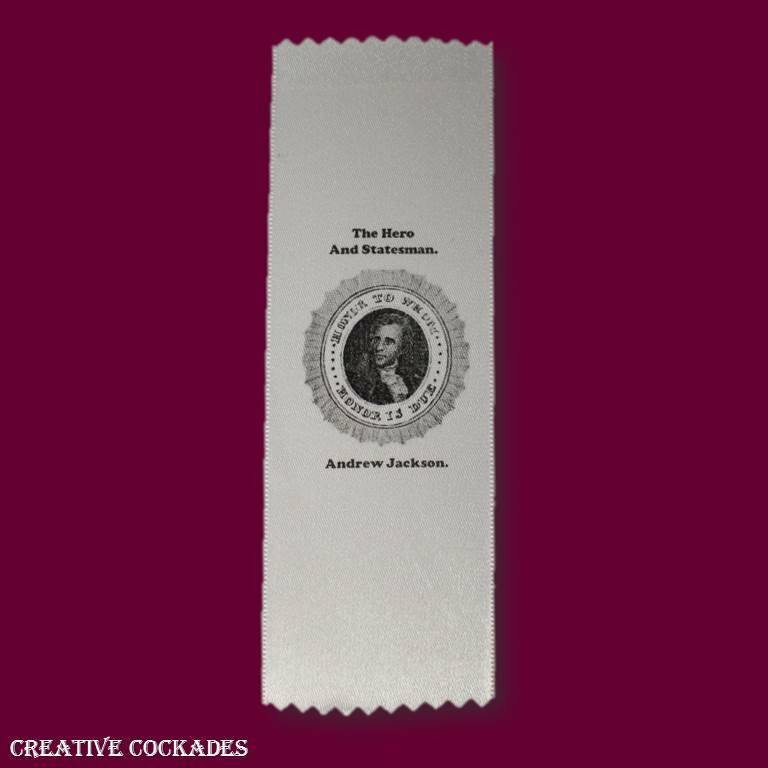 Beautiful white satin badge based on original Jackson campaign ribbons! Approximately 6" (15 cm) long and 2" (5 cm) wide. In 1828, Andrew Jackson won against incumbent John Quincy Adams with 178 electoral votes. Though Jackson did not have a long career of political experience, he was a war hero whom people admired.